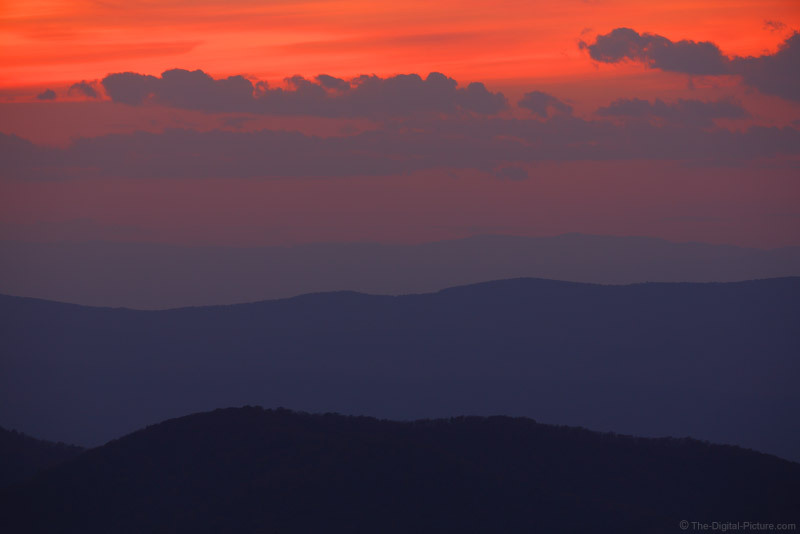 A classic Shenandoah National Park photo is of the tops of the Blue Ridge Mountains. Contrast-reducing haze provides a three-dimensional effect with the ever-more-distant mountains becoming lighter in color to due light scatter from the haze. Of course, a red sky helps the look. I was chasing white-tailed deer with the Canon 200-400 L IS lens throughout the afternoon and planned a sunset location that would allow me to shoot the deer with the sun at my back until the sky put up its show. I simply turned and shot in the other direction to capture this photo.